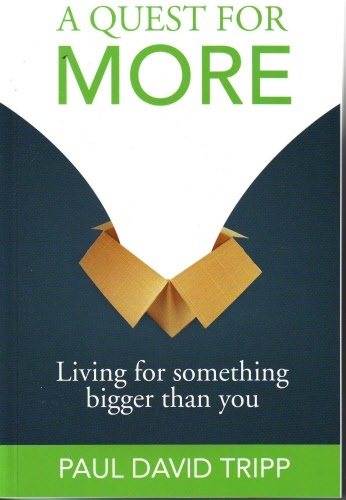 A Quest for More: Living for Something Bigger Than You. The kingdom of self or the kingdom of God: which will we pursue on a daily basis? Paul Tripp offers a compelling challenge to pursue God's with King Christ at the center. Then we will understand the purpose for which we were created. Then we will live a life that truly makes a difference.